Cross-training can involve many different disciplines, from cycling to weights. If you’re looking for one pair of shoes to cover all bases, these sporty sneakers should fit the bill. Many runners are discovering the benefits of cross-training. 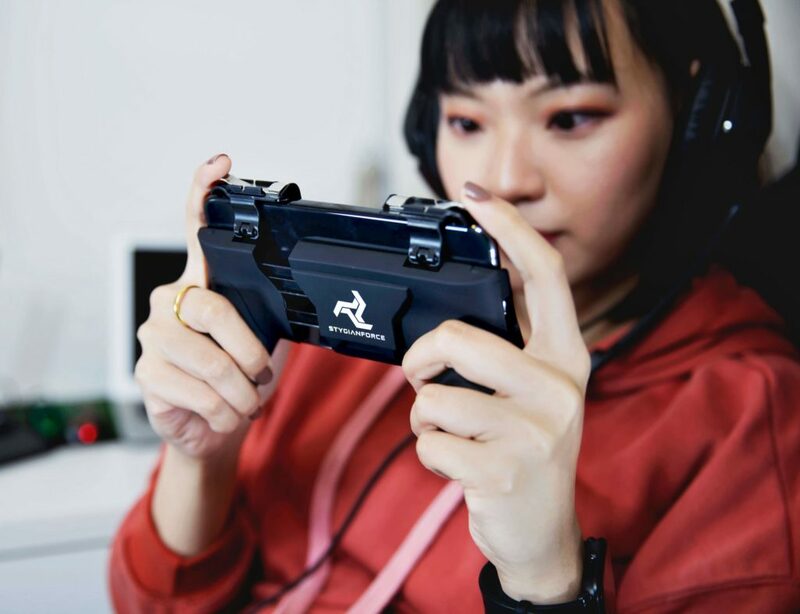 Here are 7 ways to try it for yourself. No matter which activities you want to try, it’s essential to get the right footwear. The wrong shoes can even cause injury. 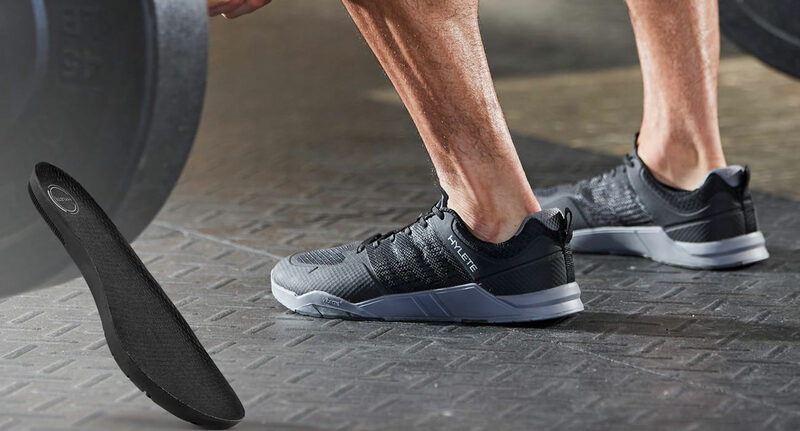 With interchangeable inserts for different activities, HYLETE’s new cross-training shoe provides good support for all your training. As sports science has progressed over the past few decades, it has become clear that athletes need diversity in their training. Of course, runners must run — but they should also build stamina and strength through other means. This is known as cross-training, and it’s becoming more and more popular. 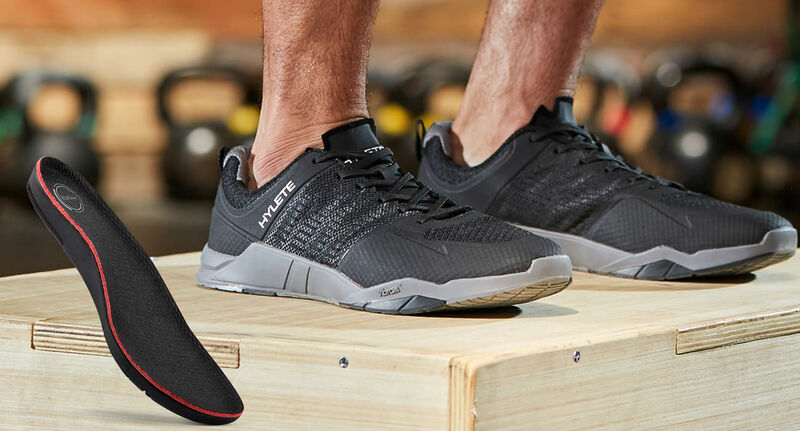 Whether you’re going for gold, or simply in love with sports, the HYLETE Circuit cross-training shoe should help you perform across multiple disciplines. These versatile sneakers come with three interchangeable insoles, giving you just the right support for any activity. It’s pretty common to see people wearing running shoes in the gym or on the tennis court. If you only train a couple of times a week, there is nothing wrong with this approach. But for working at a greater intensity, it’s important to get the right footwear. Running shoes are designed for forward momentum, not twisting and turning. They’re also made to absorb impacts rather than support the extra weights you want to lift. 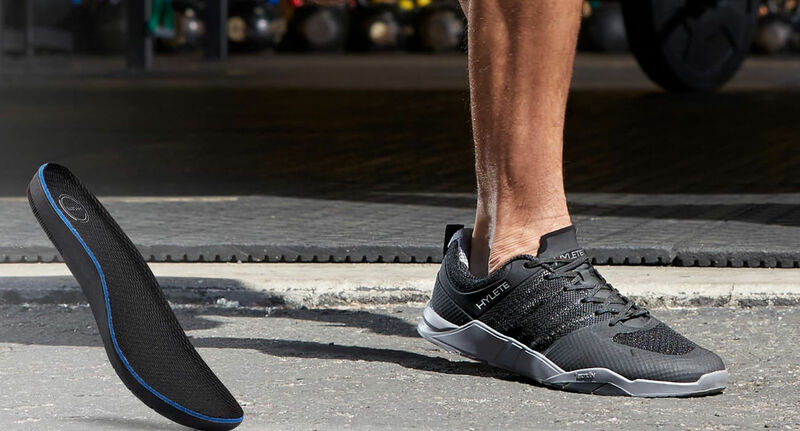 In contrast, the Circuit shoe by HYLETE is specifically designed to adapt. The box contains a pair of insoles for lifting, one for running, and another for general-purpose training. In addition, the shoes are made from ripstop nylon. 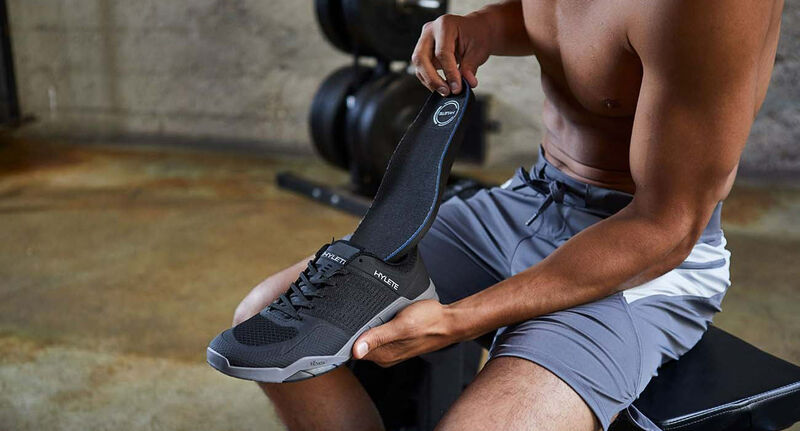 As a result, they are breathable enough for sweaty gym sessions and durable enough for rough surfaces. 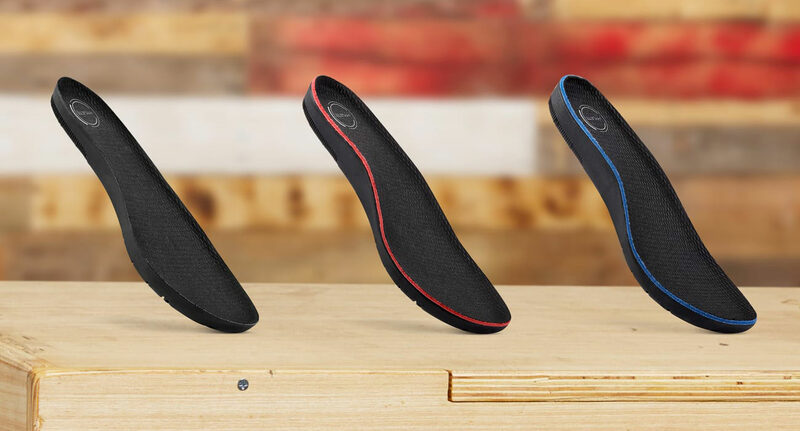 The three interchangeable insoles each raise your foot by a different amount. When you lift weights, it’s really important to have a stable base. 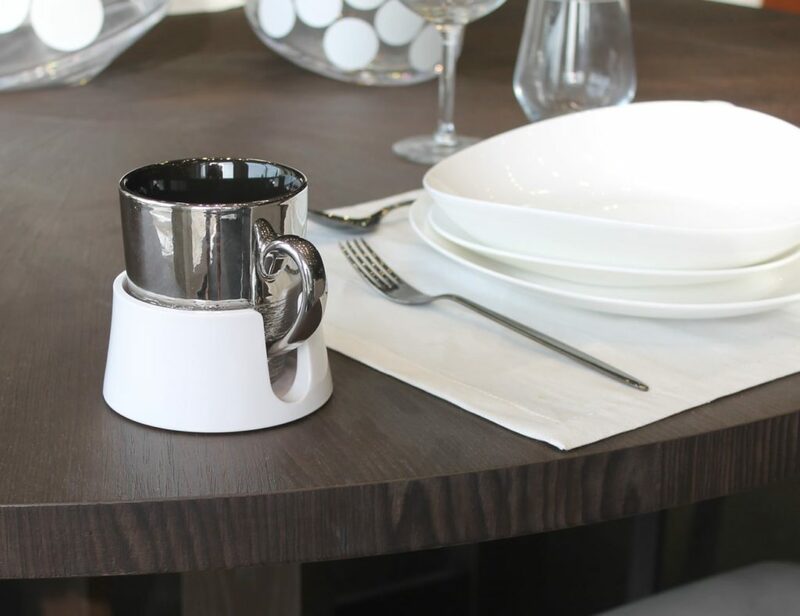 Hence, the Lift inserts are only 10 mm thick. The Run insert is much thicker, with a 16-mm heel and a 20-mm arch. 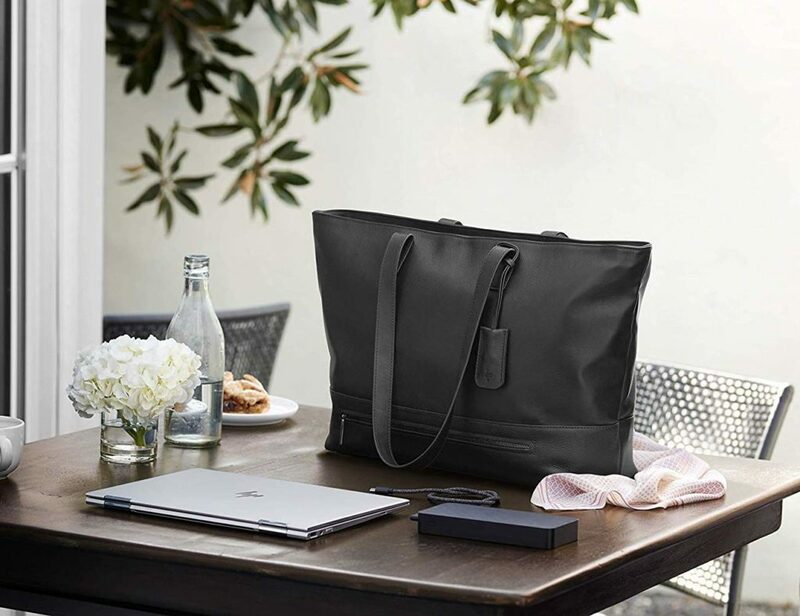 This offers greater cushioning when you’re pounding the streets. In between, the Train insert provides a good general-purpose compromise. 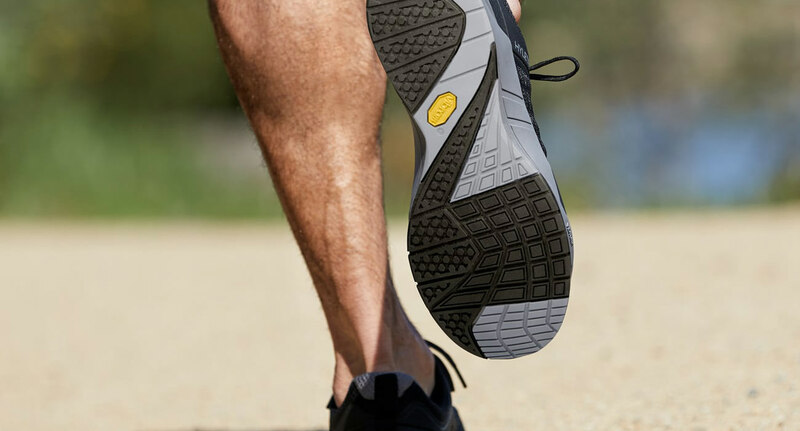 Aside from the insoles, the Circuit shoe has numerous smart features. Thanks to some heat-welded TPU, there’s no stitching on the upper. You also get a non-tapered toe box for natural weight distribution, and the Vibram outsole provides good grip on any surface. Just as importantly, these shoes are genuinely affordable. So $150 is not in everyone’s budget — but if you’re serious about sports, these shoes offer great value. Those insoles mean you get three shoes in one. It’s also nice to see a pair of sports shoes that’s built to last. You would have to go rock climbing or do something daft to damage the ripstop nylon. 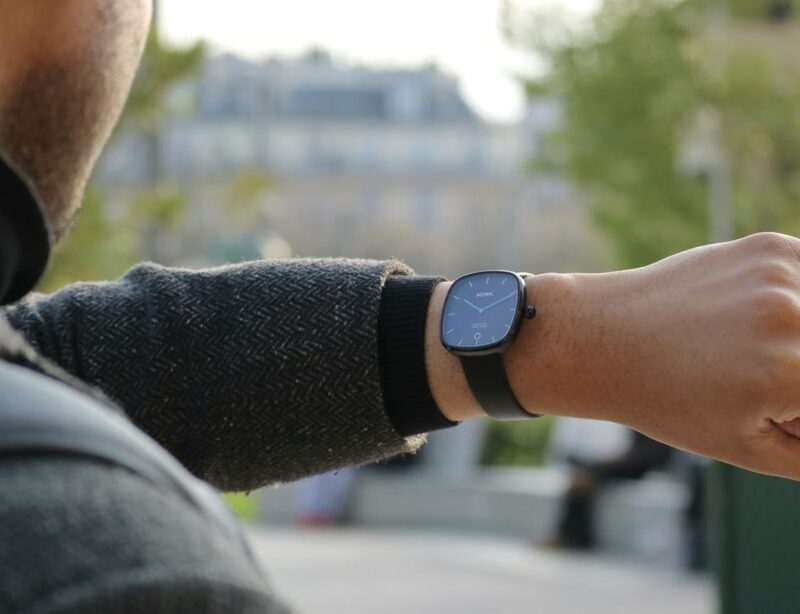 At present, the Circuit shoe only comes in black/cool gray — a slightly dull look. However, there are four more colors on the way, so things will soon be getting brighter!